More pictures from our 2014 World Storytelling Day concert in March. 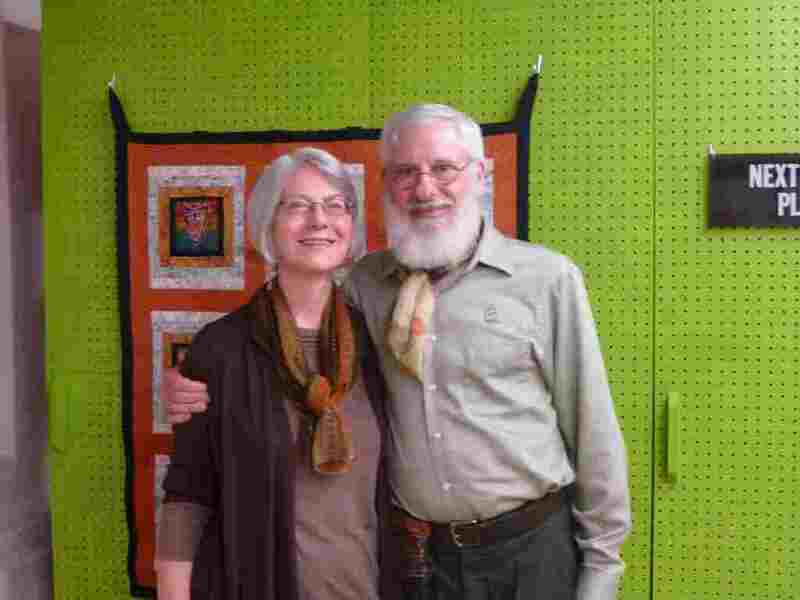 This February, the guild hosted a workshop by Gail Fricker. The workshop was attended by 15 people. Gail took the participants through the subject of telling a story in the first person and how to use gesture in such a telling. We discussed the line between telling a story and a theater performance. We also discussed and Gail demonstrated the judicious use of props and costume. Participants worked in groups in pairs on stories narrated in the first person and then gave feedback to each other on the use of gesture and voice. It was an enjoyable and successful morning. We were joined by Betty Bennett and Angelica Ottewill from the Peterborough storytellers. Thanks to Ann Busby who took registrations and Mary who organized the refreshments. See the Baden Storytellers’ Guild FaceBook page for more pictures. Bruce Feiler shares the importance of children knowing stories about their family. This is something we’ve touched on in guild many times. Several of our members work with families and communities to help them learn the value of their family stories, practice sharing them, create stories for the future, and be aware of stories as they happen. One of the reasons that storytelling is so powerful is that it honors the listener’s intellect, which creates a participatory relationship wherein the listener begins to own the parts of the story filled in by his or her imagination. A good story invites the listener to personally discover the connection between actions and consequences. A good story invites the listener to scrutinize information, make guesses, and imagine outcomes. A good story triggers empathy and emotions. Great first night at The Button Factory in Waterloo for Stories Aloud! We were treated to guest tellers/balladeers, Howard and Karen Kaplan. Howard sang his own renditions of two Grimms’ tales. Do you know ‘The Messengers of Death?’ Worth a read! Karen sang two ballads, one of which was the Earl of Mar’s Daughter. The role of listeners has never been fully appreciated. However, it is well known that most people don’t listen. They use the time when someone else is speaking to think of what they’re going to say next. True Listeners have always been revered among oral cultures, and prized for their rarity value; bards and poets are ten a cow, but a good Listener is hard to find, or at least hard to find twice. The Kitchener Post reported on our concert.